RAM 900 Series discs are the high tech alternative for all performance applications. 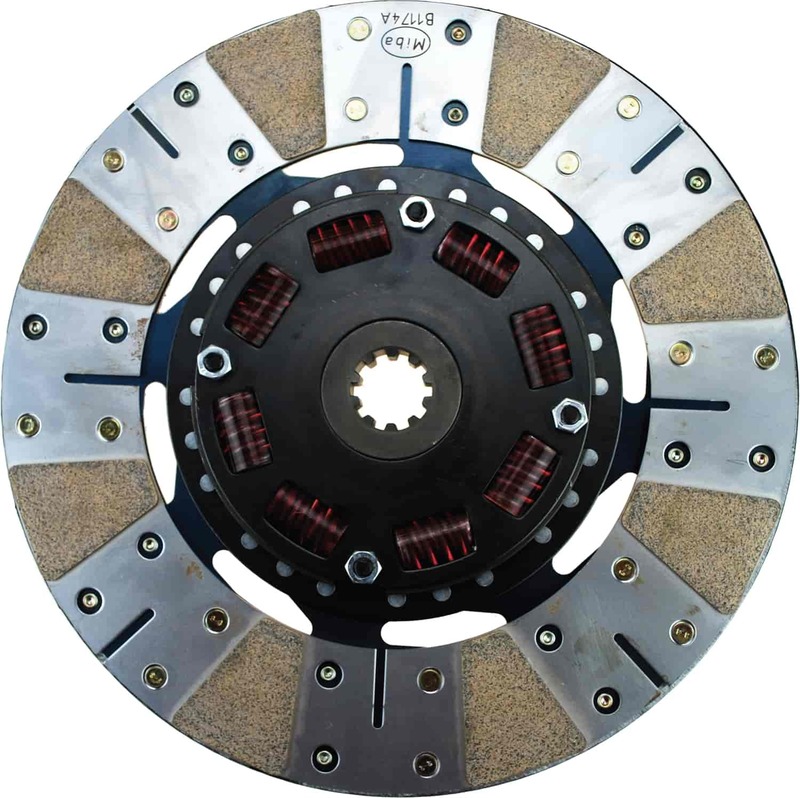 Using a friction material borrowed from high horsepower Pro Stock and Pro Modified clutches, 900 Series clutches provide extremely high coefficients of friction with minimal chatter and reduced static pressures. This type of material is engineered to provide a limited amount of 'slip' on engagement that allows the clutch to engage without overpowering the tires. All 900 Series discs use the high strength eight spring hub and Poly-coil springs for extreme dampening capabilities. POWERGRIP 900/300 SERIES DISCS are a blend of organic 300 Series and 900 series metallic friction materials that retains all the good engagement characteristics of a full organic disc yet provides a substantial increase in torque capacity. Urethane encapsulated springs in an eight spring hub are more effective in absorbing high shock loads. Use Powergrip discs for higher horsepower or higher torque load vehicles where good driveability is a requirement. POWERGRIP 900 SERIES HD DISCS are a full metallic friction material that offers a degree of smooth driveability unmatched by any other metallic disc. Urethane encapsulated springs in an eight spring hub are more effective in absorbing high shock loads. Use Powergrip 900 series discs for 'strip/street' vehicles when matched with the correct RAM pressure plate.